Snow might be nice to look at but when it is time to get rid of it, this element can be tough. Unlike certain types of buildup around your property, snow just keeps coming and coming until you can’t even walk through it! 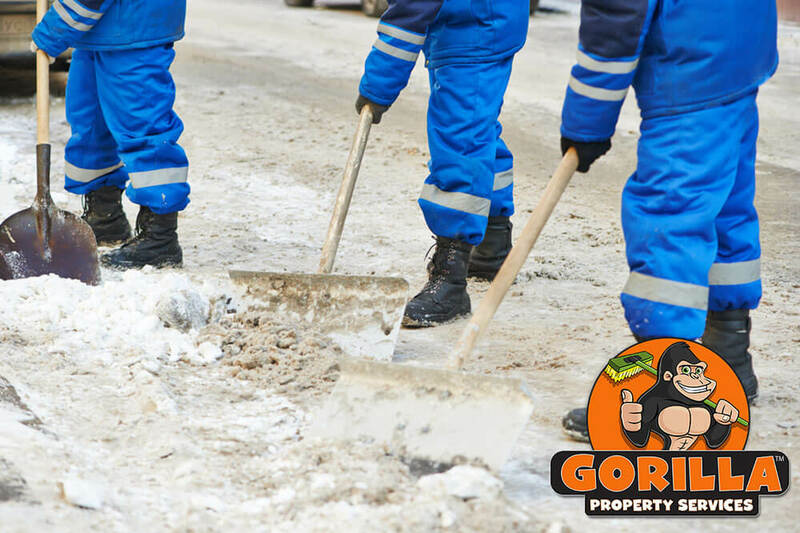 Instead of wading through feet of snow or slipping on ice, call our Gorillas for your Georgetown snow removal and salting. Over the course of the year, Georgetown sees around 142 cm of snowfall. A little dusting here and there might not seem like too much trouble to contend with but as it adds up, it is difficult. If you think snow is hard to walk through, it is even harder to clear away. Proper snow removal takes time and a lot of physical effort. Tackling one residential property might be manageable, but something as large as a parking lot or intricate as a multi-unit property is difficult. 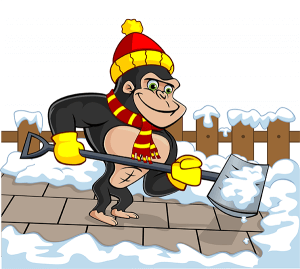 Instead of trying to clear away snow with a shovel, call our Gorillas to have the job done properly. With snowblowers, shovels, and even ploughs on hand, there is no space that our Gorillas can’t handle. In order to best serve our clients, our Gorillas are always on guard for incoming weather fronts. Instead of waiting for properties around the Georgetown area to become covered in snow, we stay prepared! When the clouds come rolling in, our removal experts prep our Gorillas movies and snow removal tools. Due to the unpredictable nature of Canadian weather, our Gorillas are available for 24/7 emergency call outs. You are never left our in the cold when our Gorillas are in your corner!